Blending fun and faith, these songs for children are energetic and easy-to-remember. A great resource for Sunday schools, all-age services, and home. 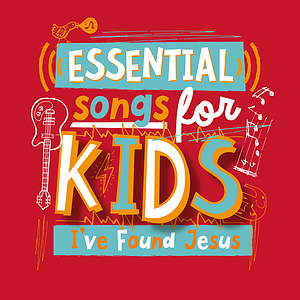 Essential Songs For Kids - I've Found Jesus by Various Artists was published by Essential Christian in October 2018 and is our 23661st best seller. The ISBN for Essential Songs For Kids - I've Found Jesus is 5021776228936. Be the first to review Essential Songs For Kids - I've Found Jesus! Got a question? No problem! Just click here to ask us about Essential Songs For Kids - I've Found Jesus. Now Playing: Love The Lord Your God Your browser does not support the audio element.